Rootamental hand painted C+C WEDDING signs made from reclaimed materials found on the Moore compound. S hout out for Rootamental guy Blaze Syka check out: blazesyka.com This guy is talented hire him while you still can. This is the main reason why I keep making skateboards; the future generations. 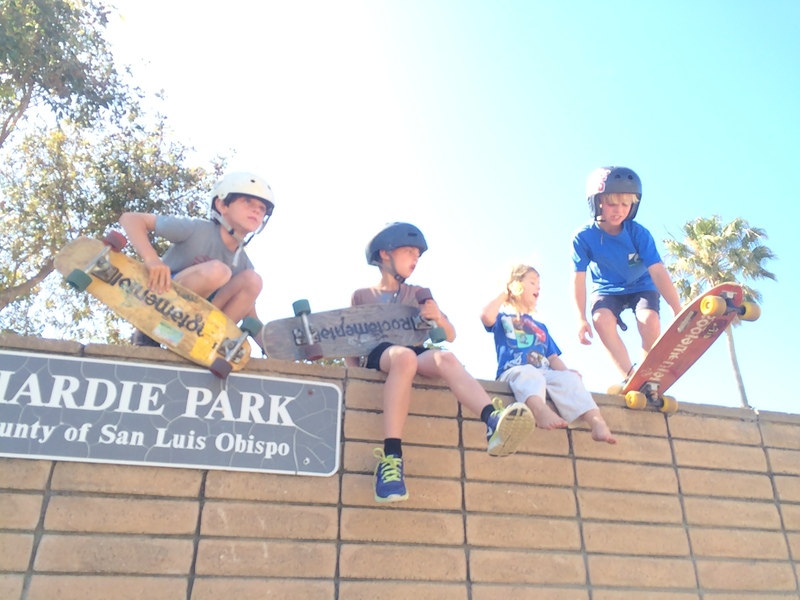 This Cayucos gang has rode there Mini Kroozers down. Thanks to Brandon Headland and family for keeping them rolling all these years.